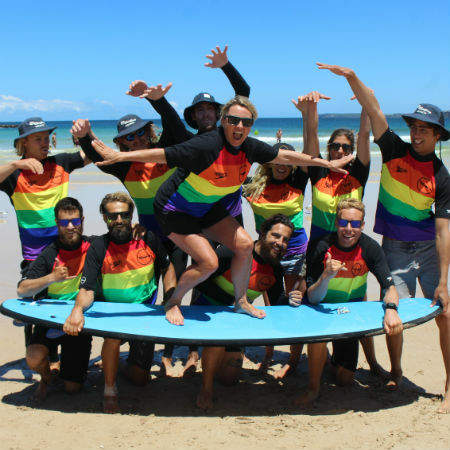 Lets Go Surfing are celebrating Mardi Gras’ 40th year in style. LGS founders ​Brenda Miley and Wacca value equality, acceptance & respect as well as a bit of fun in surfing and in life! This year we are celebrating by wearing rainbow rashvests in all of our adult group lessons. Bondi Beach will be filled with bright colours over the two week festival 16th Feb – 4th March 2018. The professional team at Lets Go Surfing are stoked to share the love of surfing with one and all and continue to change lives one wave at a time.